From camping to pampering, you will find a full range of hotels in Hershey, PA. In and around Hershey there are familiar national hotel chains, as well as charming local Hershey hotels, motels, inns and bed & breakfasts. We invite you to make Hershey your destination of choice! We offer great places to stay in Hershey, PA with values ranging from luxury to economy. There are many places to visit in Hershey, PA. Come stay with us in “The Sweet Little Town with A Lot to Offer”. 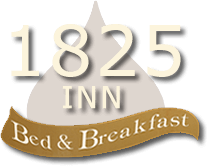 1825 Inn Bed and Breakfast is a historic bed and breakfast that offers guests a warm and tranquil alternative to area hotel lodging in a warm and welcoming atmosphere here in the Sweetest Place on Earth and neraby Amish Country. The Comfort Suites Grantville Hershey newly renovated, extends services and amenities that are sure to please everyone. The hotel offers a Hot Buffet Breakfast and free USA Today newspaper. The indoor heated salt water pool will refresh the weariest traveler. Be sure to take advantage of the state-of-the-art fitness center. There’s also an Arcade for kids of any age. Our hotel’s Hershey-Harrisburg area location lets vacationers and corporate travelers experience the best of central Pennsylvania including the favorite Hersheypark attractions, Giant Center, Pennsylvania State Farm Show Complex, and City Island. You will also enjoy all of our wonderful amenities including complimentary hot breakfast, free wireless high-speed internet access, indoor heated pool, business center, and laundry facility. All guestrooms feature microwaves, refrigerators, coffee makers, hair dryers, work desks, flat-screen televisions, pillow-top mattresses, irons with boards, sofa sleepers and cable television. 48 newly renovated rooms with new queen beds, furniture, lighting, bathrooms, 27digital TV’s. inroom-WIFI. minutes from local attractions. The Fairfield Inn & Suites by Marriott Hershey Chocolate Avenue is the areas newest Marriott hotel. Our beautiful hotel gives guest confidence that their trip will be successful by consistently delivering an hotel experience that exceeds expectations. Our knowledgeable and courteous staff is available 24 hours a day to make sure your travel is easy and productive. Take advantage of our complimentary amenities such as daily HOT breakfast, wireless internet, indoor saltwater pool, fitness area and more. Whether your traveling for pleasure or business our easy to access hotel near HersheyPark, numerous major employers and medical facilities, provides you with everything you’ll need to get the most out of your stay. Great value and great service, all backed by a name you can believe in, Marriott! Family-friendly resort offering a complement of amenities, unique dining venues, state-of-the-art facilities, and an attentive staff to make your stay memorable. HERSHEY ® Highmeadow Campground is the only campground located in Hershey with more than 300 open and shaded sites and 25 cabins on 55 acres. Hershey Highmeadow welcomes campers of all kinds. Guest Accommodations Enjoy the Suite Life! Our spacious studio, one- and/or two-bedroom suites feature separate living and sleeping areas. Each has a fully-equipped kitchen with full-size refrigerator, microwave, 2-burner stove and dishwasher. You’ll find enough space for work, study or entertaining – plus all the comforts of home including two remote control TVs, complimentary high speed internet access, and two phones with voice mail. Enjoy a complimentary Suite Start® hot breakfast seven days a week and a Welcome Home Reception® featuring a complimentary light meal and beverages Monday through Thursday evenings (local laws apply). Combining the warmth of a small town with easy access to Harrisburg, Hershey and Harrisburg International Airport, Hotel Indigo Harrisburg-Hershey always welcomes travelers with a smile. Enjoy craft cocktails in the lobby’s Riverrun bar or convivial drinks and dinner on our bistro patio, complete with fire pits. In the summer months, cool off in the outdoor pool before a superb night’s sleep in our stylish modern guest rooms. Taking inspiration from our neighborhood, the hotel is full of local touches, like images of the famous Walnut Street Bridge, which dates to 1890. Ingredients for our seasonal menus come straight from nearby farms — try our signature breakfast bowls for a healthy, energizing start to the day. Howard Johnson Inn Hershey hotel is located on route 422, just two miles from the famous Hershey’s Chocolate World. The many family-fun activities near our Hershey hotel will make this a memorably sweet chocolate-filled visit and our affordability will put a smile on your face. Slip away into a world of simple elegance at The Inn at Westwynd Farm. Tucked away on a charming equestrian farm, you will be enchanted by the serene setting of our luxurious bed and breakfast in Hershey, Pennsylvania. as you watch the horses running through rolling, misty pastures. We offer the finest amenities and inviting rooms accented by beautiful antiques, cozy fireplaces, Jacuzzi’s and luxurious linens. Your cares will melt away as you savor our daily gourmet breakfast, delightful afternoon refreshments or a quiet glass of wine by the waterfall. Centrally located within minutes of downtown Harrisburg, and about 20 minutes from Hershey. We have 250 guestrooms, a Full Service Restaurant and Lounge and 30,000 square feet of meeting space. Call 717-763-7117 to make your reservation. For groups call 717-433-9737. We Go Beyond so you can get the most out of your stay. All studio suite property (80 suites) just 1 mile from Hershey attractions, right next to AACA museum. Luxurious resort combining lavish settings, state of the art amenities, and uncompromising service to continue its tradition as one of America’s grand hotels. The Londonderry Inn is a highly rated Hershey Bed and Breakfast with magnificent accommodations in a beautifully restored pre-Civil War 1840’s structure. Each of our six spacious, stately bedrooms have their own private bath, large windows, ten foot ceilings, queen or king sized bed, and a sitting area for two. In the morning, a delicious, intimate breakfast is served in the parlor rooms around tables for two or outside on the patio when weather permits. Walk the beautifully manicured grounds and stop to enjoy some time seated on benches beneath the trees. Great care has been taken to assure an atmosphere of rest, restoration and inspiration at The Londonderry Inn. Find a luxurious timeshare at the Suites at Hershey for less by visiting SellMyTimeshareNow.com. This Bluegreen Resort timeshare property is located just outside of Hershey Park and is a short drive away from other popular attractions including Gettysburg Battlefield Park. Each suite features enough space for the whole family to spread out in with additional home-like comforts including full kitchens and washers/dryers. Onsite you will find a pool, barbecue grill, game room, and workout facility. Experience these wonderful amenities and more by finding a timeshare at the Suites at Hershey through SellMyTimeshareNow.com. All units on the website are priced at reasonable resale and rental costs by individual owners.